Apart from regular categories such as apparel, footwear and consumer electronics categories such as online medicine, grocery are few newly emerged segments which are fetching a lot of attention. E-commence is among the fastest growing industries in India. According to a study conducted by the Internet and Mobile Association of India, the e-commerce sector is estimated to reach Rs. 211,005 crore by December 2016. The study also stated that online travel accounts for 61% of the e-commerce market. 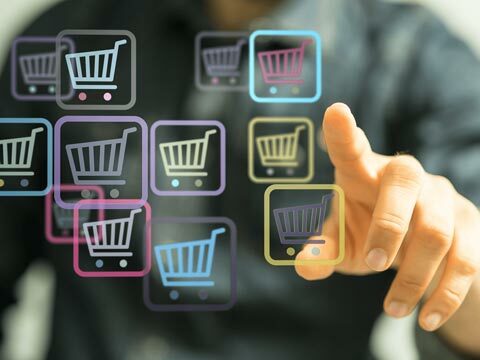 One of the major factors contributing to the growth of the e-commerce market is the diverse portfolio in several product segments such as electronic gadgets, apparels, books, and cosmetics as these categories regularly updated with latest offerings, which not only attracts new customers but also retains customer loyalty. Let’s sneak peak on few fastest growing categories in Indian e-commerce space. The fastest product categories moving online were apparel and footwear and consumer electronics, which have been the first categories to migrate online globally. As per the Euromonitor study, In India, both categories have a relatively high penetration rate of online sales at 9.5% and 15.0% respectively in 2016. The third fastest growth category was beauty and personal care even though its online penetration rate is only 1.2%. Despite this low penetration rate, online beauty specialists are cropping up to bring this category online in India. Nykaa.com launched in 2012. It focuses on selling premium and luxury cosmetics. It has been the first to bring several international brands into India and online, such as MAC and Clinique. In addition to carrying sought after international brands, Nykaa launched a private label brand in November 2015, which it plans to grow significantly. The company is pursuing an omnichannel strategy. It has two stores in airports, one store in Mumbai and one store in Bangalore (both in malls). As per the official statement by company, Nykaa is eyeing to open 30 offline stores across India by 2020. Another retailer bringing beauty and personal care products online in India is Purplle.com, which was launched in 2011. It is focused on hair care products in the mass / masstige price segments. Both online beauty specialist retailers have experienced at least triple digit growth annually since their launch. Euromonitor International expects online sales of beauty and personal care products to grow by 120% through to 2021 so both companies are likely to experience further growth as they bring this underpenetrated category online. A new sector in e-commerce is online medicine, selling complementary and alternative medicine or prescription medicine online. There are no dedicated online pharmacy laws in India and it is permissible to sell prescription medicine online with a legitimate license. Mumbai based start-up pharmeasy.in is one of the largest pharmacy aggregators in India. Recently, the company has raised a Series B funding of $16 million in a round led by Bessemer Venture Partners and Orios Venture Partners. Online grocery came in light when e-commerce giants such as Flipkart and Amazon announced their aggressive plans for this segment. As per the media reports Flipkart may soon foray this category. The company has already taken a pilot programme in Bengaluru, aiming to foray into grocery segment and may expand it to other places across the country. "We will be opening up groceries very very innovatively when we launch...The pilot is going on in Bengaluru. We will be launching it (groceries) in few months time,” said Anil Goteti head of marketplace, Flipkart in a media interaction. On other hand, global e-commerce giant Amazon is poised to expand its grocery category. Currently, Amazon’s grocery and pantry business is available in over 30 cities. The company is commited to grow its grocery and food business, launch more categories and products and forge alliances with large offline grocery and supermarket chains. Moreover, in 2016, about 69 million consumers purchased online and the number is expected to cross 100 million by 2017 with the rise of digital natives, better infrastructure in terms of logistics, broadband and Internet-ready devices to fuel the demand in e-Commerce, according to an ASSOCHAM-Resurgent India study. With this growing share of online shoppers e-retailers are constantly getting encouragement to explore newer categories and go beyond traditional.